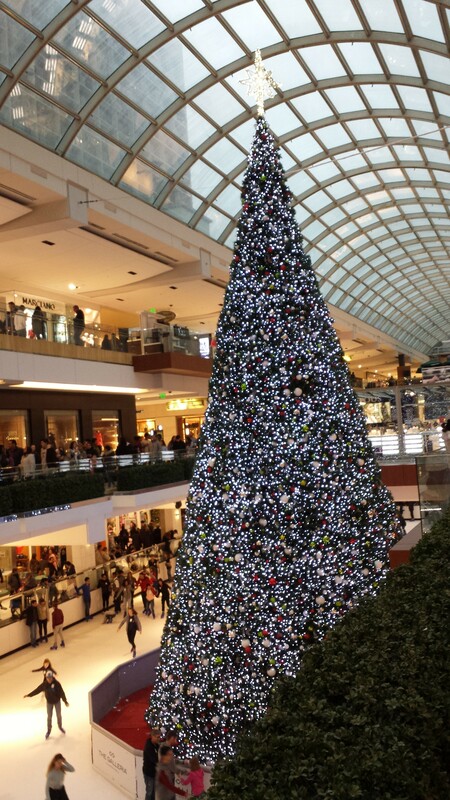 On the second day after Christmas, shoppers and visitors packed the Galleria in Houston for holiday sales and just enjoy the holiday sights and atmosphere during this last week of the year. Stores marked down items more than 50%. For many, the after-Christmas shopping also is a holiday tradition. With cold, cloudy, drizzly weather and 41 degrees outside, the mall was a gathering place for family and friends this afternoon to shop for themselves, dine and jingle in the new year. The parking garages filled up before noon, but if you drive to the top floors, parking spaces are available. This entry was posted in Holiday Celebrations, Houston News, Houston Tourism, Houston Weather, Shopping, Things to Do and tagged After Christmas Shopping 2017, Galleria Houston Dec.ember 2017. Bookmark the permalink.